Sit back and relax while we bring you this week’s channel scoop. PAN-OS 8.0 Launch: Ron Myers explains in his latest blog post how the new PAN-OS 8.0 release solidifies our thinking beyond the point channel strategy. As a reminder we have created a dedicated PAN-OS 8.0 Partner Portal page. We recommend visiting frequently as we are continuously adding new content. Partner Training: Did you miss the Sales Insight Webinar on our newly introduced Next-Generation Firewall hardware? Now you can watch the replay at your convenience. 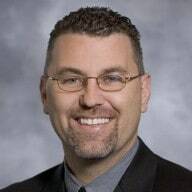 CRN’s 50 Most Influential Channel Chiefs List: Ron Myers makes it on to this coveted list. 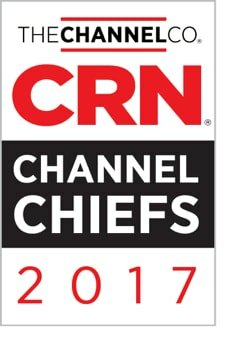 In addition, both Ron and Todd Palmer make CRN’s 2017 Channel Chiefs list. These are great awards, but they are a reflection of an even greater team. RSA Conference 2017: Couldn’t Attend RSA This Year? Check out our great recap blog and video highlights. Mark Your Calendar: We have some great upcoming partner training webinars, that can be found on our Sales Insights Partner Portal page. Make sure to check this page often as it is updated regularly. *To access content on the Partner Portal you must be a Palo Alto Networks NextWave channel partner and have a valid user name and password. Email NextWave@paloaltonetworks.com to request Partner Portal access.